The most reliable Apple analyst on the planet, Ming-Chi Kuo of KGI Securities, has predicted a cheaper version of the iPhone X will be launched in September 2018. Ming-Chi Kuo, is "the best Apple analyst on the planet" according to Cult of Mac, and for the past six years the Taiwanese seer has been accurately predicting Apple developments. In a research note on January 23, Kuo predicted a new lower-cost, lower-spec version of the iPhone X will be released later this year . The lower-cost iPhone will have the same facial recognition sensor as the iPhone X, as well as an edge-to-edge 6.1-inch screen and no home button. However, Kuo says to expect some tradeoffs. He believes the new version will have an LCD screen, which is an older technology than the OLED screen found in the iPhone X. He predicts it will also have an aluminum casing, which is less premium than the stainless steel on the iPhone X. It may also have only a single-lens rear camera to save costs. The new lower-cost iPhone could help Apple gain market share in China, according to the research note. The cost of the new version is predicted to be $200-$300 cheaper than the existing iPhone X at around USD$700-$800. Apple typically launches new iPhones in September, at which time earlier models drop in price by around US$100. Kuo says rather than dropping the price of the iPhone X, Apple will instead introduce this new lower-cost, lower-spec version of the iPhone X. "Lowering iPhone X’s price after the ... new models launch would be a negative to product brand value, given 3D sensing and OLED display are features of the new high-price model," Kuo wrote. 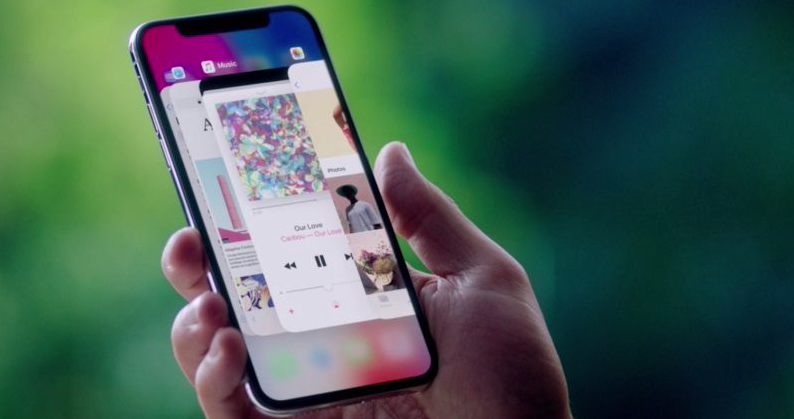 At the same time, Kuo says Apple could also be preparing a new version of the iPhone X with better components in the same 5.8-inch sized-body. And he predicts a third new device being an iPhone X Plus with a massive 6.5-inch OLED screen. So, in total, three new iPhone X versions in September. In 2013, Apple tried to the same strategy - to introduce a new-lower cost iPhone, called the iPhone 5C, instead of selling the previous year's model at a discounted price. It was a sales disaster — Apple CEO Tim Cook even admitted that the device sold more poorly than the company expected. Demand for the colorful iPhone "turned out to be different than we thought," Cook said in 2014. Ming-Chi Kuo predicts that Apple may favour discontinuing the current iPhone X model, instead of selling it at a lower price after the new three new iPhones come out. Meanwhile, Apple has downgraded its sales figures for the existing iPhone X.
Nikkei has reported that Apple is slashing iPhone production in the first three months of 2018. The U.S. tech giant has notified suppliers that it will cut the first-quarter production target to around 20 million units - from 40 million units - in light of slower-than-expected sales in the year-end holiday shopping season in key markets such as Europe, the U.S. and China.